These awards have been superceded by the most recent Analyst Firm Awards. 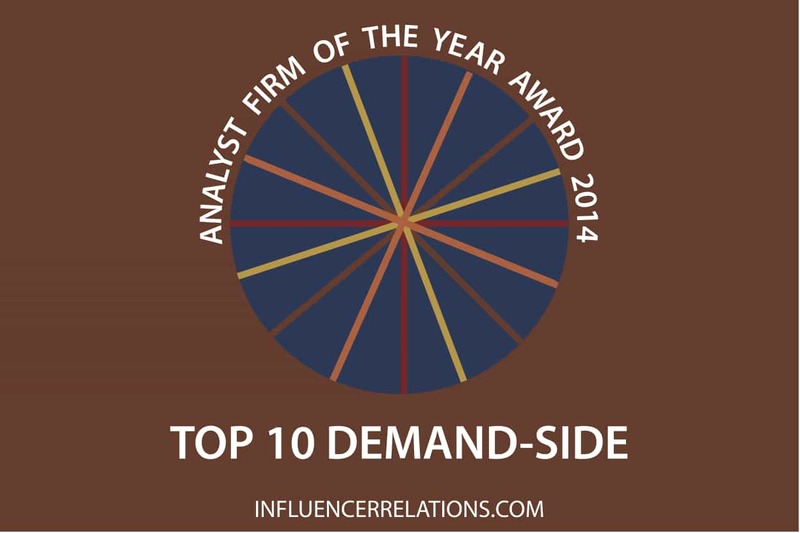 Most users of analysts’ services are on the demand-side, and that Influencer Relations’ Analyst Firm Awards for 2014 (AFOTY14) segment attracts the most attention. One of the reasons for our Analyst Firm Awards is that past awards for analyst firms have focussed on the supply-side. The IIAR’s Analyst Firm of the Year awards have shown important and relevant sources of analyst services for ICT vendors and agencies: in procurement, market intelligence, assistance in messaging, media quotes, partnership advice and so on. That’s very useful, and next week I’ll be drilling down into the supply-side data in our awards. But, of course, the heart of our awards is how the full range of analysts’ users value their different services, and the firms that provide them. 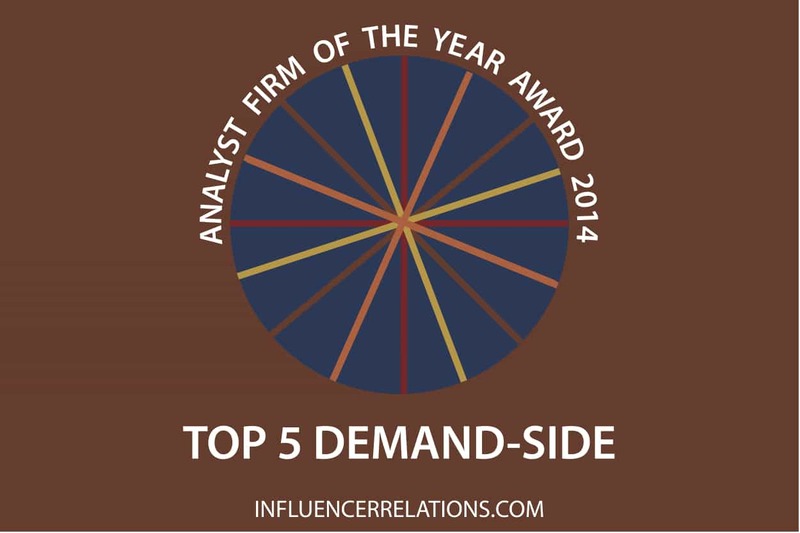 The top five firms for the demand side in 2014 are listed below (and here is a reminder of the methodology). Gartner: the undisputed market leader. HfS Research: a freemium firm whose opinionated content won it a huge user-base. Forrester: the traditional number 2 in the market, falling behind because of its limited reach — but whose clients are delighted. Digital Clarity Group: another freemium firm, with remarkably strong content available for free. Everest: the leading specialist in the massive services and outsourcing space, with a massive impact on global deals. IDC: a firm with a very limited demand-side client base, which reaches a huge audience through events, reprints and media profile. NelsonHall: a high-impact leader in the services space since the 1990s, which has risen in profile along with the value of services and outsourcing contracts. CXP Group: the leader in the French-speaking markets. Pierre Audoin Consultants: its IT Research Board has given hundreds of the world’s leading CIOs access to PAC research and analysts in exchange for taking part in research studies. Aberdeen Group: an ex-analyst firm that has reinvented itself as a content marketing research leader. These results show that paying clients are a tiny percentage of the demand-side users of analyst research. The idea that the only people who influence deals are firms with contracts with demand-side organizations need to reconsider their strategy. And even firms that use Gartner might have ten people holding Gartner seats, but 1,000 reading freemium research. The market is changing fast!